As a result of the money found during IT raid in Vellore DMK memeber's warehouse, Lok Sabha election was cancelled in the constituency. 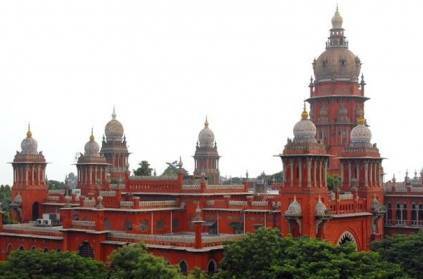 AIADMK's A.C. Shanmugam and independent candidate Sugumaran have approached HC demanding stay on the cancellation of the polls. They have asked to disqualify the contestant and conduct the election. EC responded saying court cannot reinvestigate the matter. After hearing the argument, HC has reserved the judgement and it is to be announced at 4.30 PM, today. DMK is meeting under M.K. Stalin to decide on their next move. Kadhir Anand of DMK has approached EC requesting to take back their decision on cancelling the election. This page contains news relating to various facts and events. The views are generally about current affiars and general topics in diversified areas such as political, international, national, and regional issues, sports, health, travel, lifestyle, technology and business. People having similar interets on the above topics will find this page useful. Vellore constituency election: HC reserves judgement. To be announced | Tamil Nadu News.